The Compulsive Reader: Sequel to The Raven Boys: The Dream Thieves Cover! 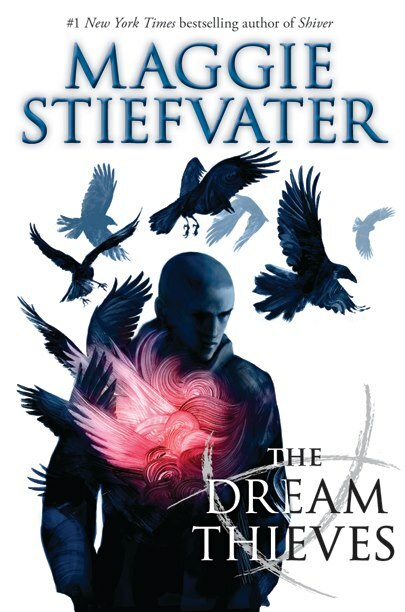 Sequel to The Raven Boys: The Dream Thieves Cover! I don't know about you all, but the very last line of Maggie Stiefvater's The Raven Boys made me go, "Whaaa?" But in an awesome, what-is-she-going-to-do-now? sort of way! 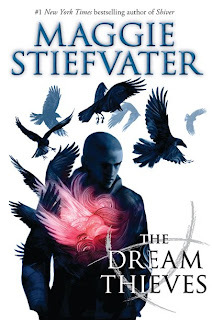 It's been one that has haunted me and made me wonder what on earth is going to happen in the sequel, so I was very excited to see the news that the sequel is going to be called The Dream Thieves, and there is a cover! I am loving the artwork for these covers--so unique and odd, and so compelling. I am curious to see who this is on the cover (Ronan, perhaps? ), and to learn more about the ley lines and Blue and....I could go on and on. The Dream Thieves is going to hit shelves this fall, on September 17th, 2013! No soon enough, in my opinion... And if you haven't read The Raven Boys yet, click here to read my review. What do you all think of this cover? Since I was blown away by The Raven Boys, I have been eagerly anticipating its follow-up. The cover is gorgeous and now it's only a long time until it's finally released.